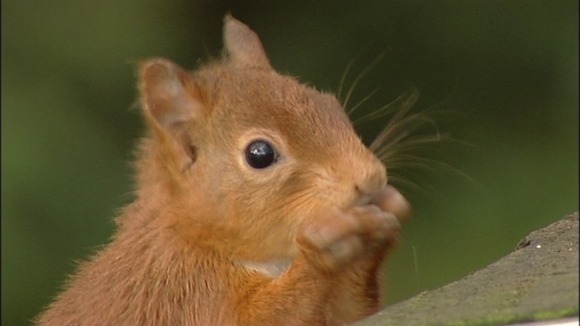 AN orphaned baby red squirrel has been saved after being found lying on a woodland path near Inverness. The four to five week old kit is recovering in the care of the Scottish SPCA where staff have named her Dizzee. A member of the public spotted the tiny orphan lying on the forest floor while walking in Daviot Woods in September. The woman picked the female squirrel up and took her to the charity’s Highlands and Islands Animal Rescue and Rehoming Centre at Inshes, Inverness, where staff immediately had her checked over by a vet. They also began syringe feeding her with lectaid, a type of milk formula for young and weak animals. 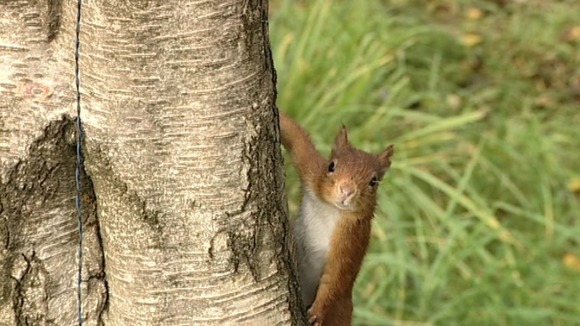 Once she was strong enough to be moved, the squirrel was transferred on to the Scottish SPCA’s National Wildlife Rescue Centre at Fishcross, near Alloa, where she is currently making excellent progress. “Dizzee was only 90grams when she arrived in our care but she’s come on leaps and bounds over the past three weeks and has now almost doubled in size and is weighing in at a very healthy 165g. “Wildlife assistant Sheelagh McAllister has been providing Dizzee with round the clock care which includes taking her home at night to continue her hand feeding. “Dizzee’s now starting to eat solid foods including shelled nuts and she’s ready to be moved into an outdoor enclosure.